64 children between 5 and 9 years were introduced to baseball on Sunday, July 1 at the home stadium of the University of Tokyo (UOT). Nippon Professional Baseball (NPB) agreed to support the event at the request of the Japan Student Baseball Association. 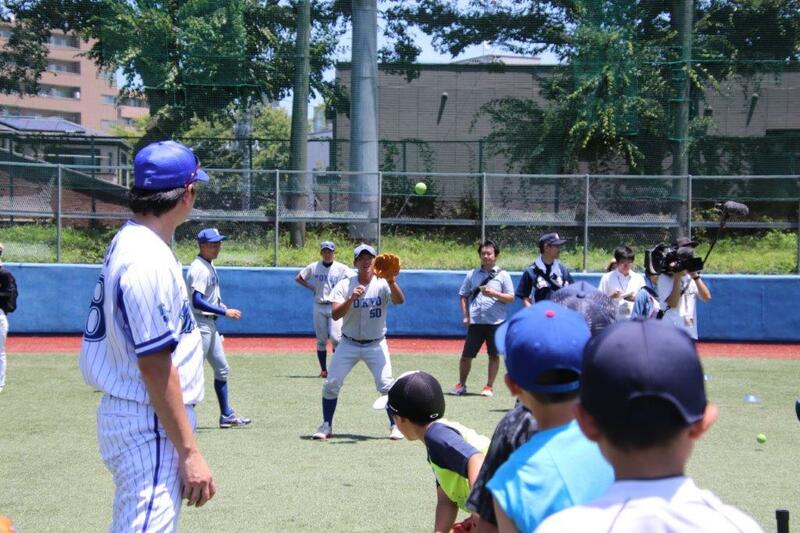 Players of Meiji University and UOT as well as NPB’s coaches from Tokyo Yomiuri Giants, Yokohama DeNA Baystars, Chiba Lotte Marines and Saitama Seibu Lions participated in the first-ever coaching clinic for small children. In the backdrop to the joint initiative is a concern that popularity of baseball in Japan may have been eclipsed by other sports. The Japan High School Baseball Federation announced on June 29 that the number of high school baseball club members in Japan stood at 153,184 as of the end of May, marking a record fall of 8,389 from the previous academic year. It was the largest yearly drop since the federation started collecting statistics in 1982. The number of players in their first year of high school fell by 3,882 to 50,413, marking the first time for the number of first-year club members to dip below the figures for those in their second and third years, which stood at 50,538 and 52,233, respectively. The number of first-year players peaked at 64,117 in the 2007 academic year and remained at 61,265 in academic 2014. But over the past four years the figure has plunged by 10,852. Masahiko Takenaka, secretary-general of the federation, said, "The decrease outweighed our predictions. I want to encourage preschoolers to play baseball to curb the decline."